Stores have publicized the pre-sales, promotions and teaser ads all month ahead of the biggest shopping weekend of the year. The good news for retailers is that shoppers are ready to spend 25% more this year than last year -- or an average of $369 each. So says a survey from consulting firm Deloitte. But enough about the experts. It all kicks off early Thursday morning. Wondering what's open or where to snag a deal? Here's our guide. Hours: Open 6 a.m. on Thanksgiving to 10 p.m. Friday. Highlights: A Star Wars Force Awakens Lightsaber and action figures are 50% off, and a Swift Stream Camera Drone will be offered for $59.99 (originally $99.99). Online: Black Friday deals will start at 11:59 p.m. Thursday morning on Kmart.com, and new offers will post at 6 p.m. Thursday evening. See the ad. Hours: Open at 5 p.m. on Thursday. Closed between 1 a.m. and 8 a.m. on Black Friday. Highlights: Best Buy (BBY)will offer $120 off iPad Air 2 models and $15 off Amazon Fire tablets. In-store only deals include a 24" LG TV for $79.99 (originally $149.99), and a 49-inch Toshiba TV for $149.99 (originally $430). Online: Most in-store deals are available all day at BestBuy.com, but there will also be some online-only discounts on Thursday. See the ad. Hours: 5 p.m. on Thanksgiving. Hours vary by location. Highlights: A series of doorbusters will roll out all weekend, some of which will only be available in stores for a limited period of time. The first round includes 50% off Nerf N-Strike LongShot CS-6 Blaster ($19.99) and $20 off Easy-Bake Ultimate Oven ($24.99). Shoppers that spend more than $75 at brick-and-mortar stores will get a $10 Toys 'R' Us gift card. Online: ToysRUs.com deals begin at 9 p.m. ET on Wednesday, but not all Black Friday deals will be on its website. See the ad. Hours: 6 p.m. on Thanksgiving until 11 p.m. or midnight on Friday. Highlights: Target's Cartwheel app will offer 50% off of a different toy every day through December 24. In-store shoppers that spend $75 or more on Black Friday will get a 20% discount to use in December. Deals include an Xbox One for $299.99 that's bundled with a $60 Target gift card and a Gears of War game, as well as an iPad Air 2 (usually starts at $499.99) bundled with a $150 gift card. A 10-day deal event will last through December 1 featuring "deep daily discounts on electronics, kitchenware, toys and more." Online: Deals will go online starting early Thanksgiving morning. Online shoppers get free shipping and returns until December 25, and Target recently started shipping internationally. See the ad. Hours: 6 p.m. Thursday. Store hours vary by location. Highlights: There will be deals on 10 different TV models, video games, small home appliances and toys. Other deals include a Fitbit Flex Wristband for $59 (orginally $99) and more than 800 DVDs and Blu-ray movies starting at $1.96. The Walmart (WMT) app can scan products in stores and add them to a wish list. Online: 96% of in-store deals will be online, and deals go live Thanksgiving morning at 3:01 a.m. ET. Walmart is letting customers check in with their phones and place online orders for in-store pick up. See the ad. Hours: Opens 6 p.m. Thursday. Highlights: Macy's (M) says it's offering more than 400 doorbusters. Shoppers can snag a $10 to $20 discount passes from its Black Friday flyer. Deals include 55% to 65% off boys' Star Wars gear, 60% off Samsonite Luggage and 30% off diamond engagement rings. Some deals end at 1 p.m. on Friday and Saturday. Online: Black Friday prices will be available on Macys.com all day on Thanksgiving. Shipping is free on orders over $99. See the ad. 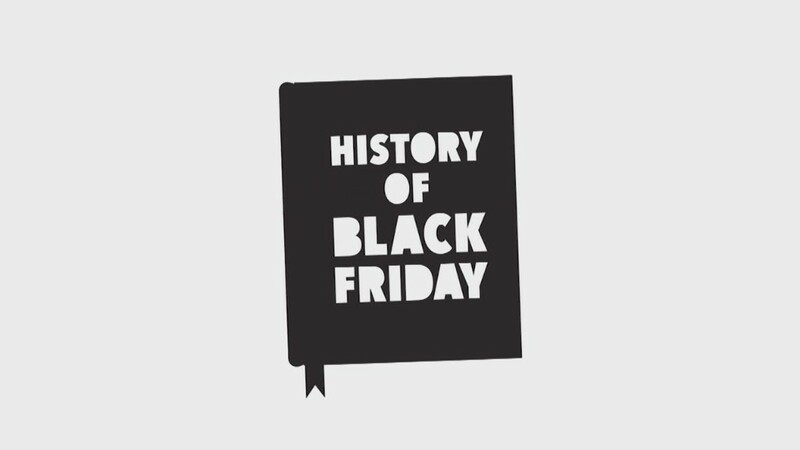 Hours: Black Friday is a month-long event for Amazon (AMZN), which launched its Black Friday Deals store November 1. Highlights: New deals on Thanksgiving include Fire TV Sticks for $24.99, and extra $15 off of Amazon's already-discounted Fire Tablet. Amazon Prime members get access to some of the "Lightening Deals" deals 30 minutes earlier than non-members. See the ad. Hours: Opens 6 p.m. on Thanksgiving. Highlights: Kohl's (KSS) offers include a Star Wars striker spy drone for $49.99 (originally $149.99), and 50% off select toys. Stores will also give out two tickets to "Star Wars: The Force Awakens" to the first 100 shoppers on Black Friday. Shoppers will also get $15 gift cards for every $50 customers spend. Online: Digital doorbusters will go online each day through Black Friday. A new mobile app will sync shopping carts between customers' tablets, phones and computers. See the ad. Hours: Open 6 p.m. to 9 p.m. on Thanksgiving. Stores open at 8 a.m. Friday. Highlights: Office Depot (ODP) and Office Max doorbusters on Thursday include 70% off a 10" Toshiba tablet for $89.99 and a NuVision Android tablet for $49.99. On Friday, the stores will have a new slate of offers including half off a 14" HP laptop. Online: Black Friday starts online at 12:01 a.m. ET on Thanksgiving, with more offers rolling out at 12:01 a.m. on Friday. See the ad. H&M: Opens on Friday. Hours vary by location, and location-specific information is listed on available here. Old Navy: Stores open at 4 p.m. on Thanksgiving. REI: The outdoor specialty store will stay closed on Thanksgiving and Black Friday.